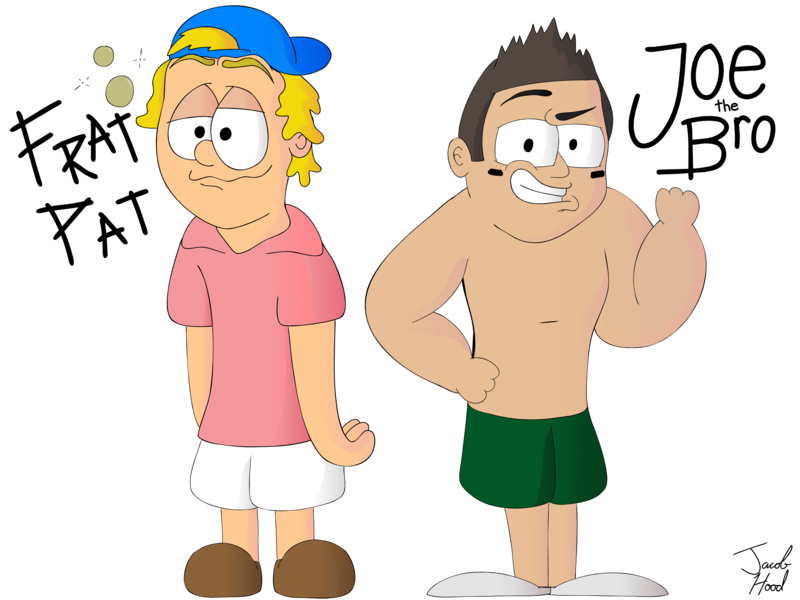 Frat Pat and Joe the Bro are blowhard fraternity brothers in Delta Kappa Stereotype. They are morons who indulge in all forms of debauchery. Aside from partying, they also enjoy being fair-weather sports fans. Critical of any values that counter their herd mentality, Pat and Joe are also hypocrites, secretly terrified of individuality.